Finally! I’ve been asked several times for a “Hair Tip” post on hair extensions. I’ve done extensive research for the ‘Hair Extensions’ series of posts (yes there will be more to come), including getting hair extensions myself. Today I’m giving you the low down about hair extensions and what it’s all about!! Why do people get hair extensions? In my experience it’s all about length. Who doesn’t want long luscious thick mermaid hair? As well as overall length, I’ve come across many cases where people want to fill out the front of the hair to make it look thicker and fuller around the face. Some women have naturally very thin hair and want to make it look thicker. Sometimes a girl makes a bad decision and cuts 6inces off her long hair for a new look and can’t recognise herself in the mirror with a short bob!-What were you thinking!! There are many reasons why people opt to get hair extensions and usually it gives people an amazing confidence boost and that becomes quite addictive. 1) Permanent hair extensions are attached to the hair and last for 6-8 weeks depending on the type of bond (how it’s attached to the hair). 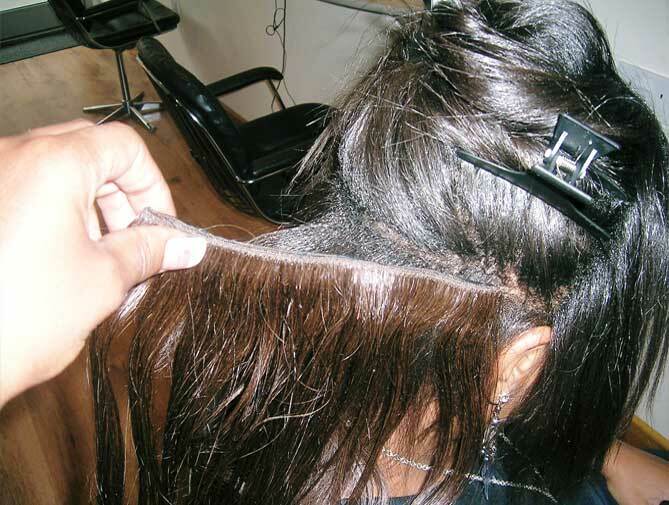 The extensions grow with your natural hair but once they stay in too long they become very hard to manage. Usually after 6-8weeks (depending on the person) they get moved up to the root,replaced or removed. 2) Semi-Permanent hair extension are most commonly a strip weft of hair that has clips attached that you can clip near the scalp. These are ideal for a specific once off look as they can be removed at the end of the day and stored away for the next special occasion. Some women prefer to use semi-permanents every day and that’s fine too. There are many advantages to being able to take out the extensions as you please for maintenance and comfort. 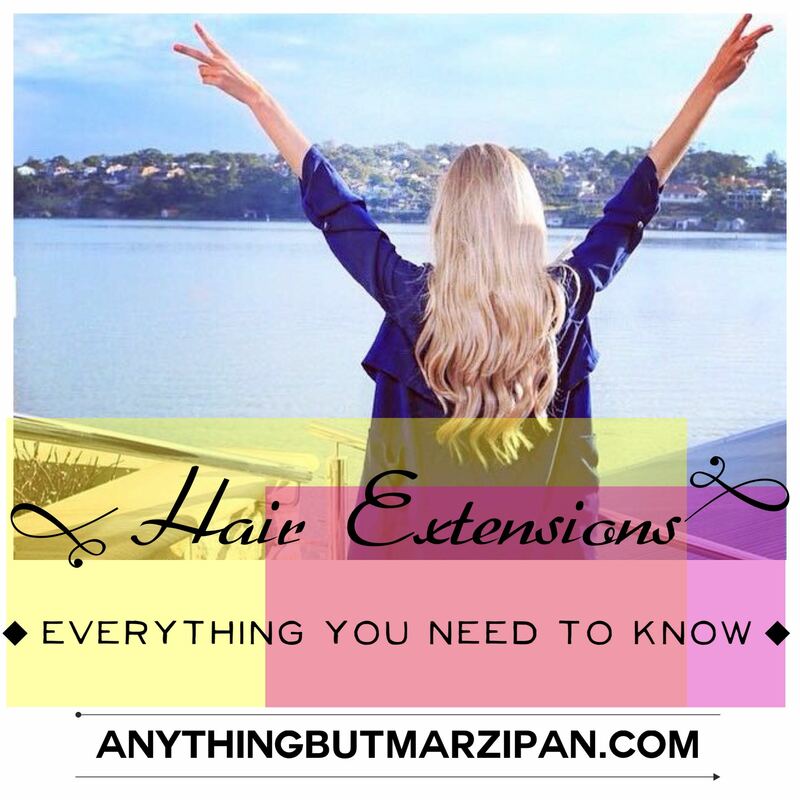 Now let’s talk a little more about permanent hair extensions! 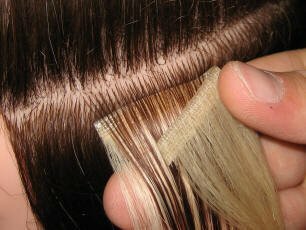 There are many different types of bonds that can be used on the hair; beads, tapes and wefts are the most commonly used techniques. 1) Beads are small, round and hollow. The hair is in a small strand that goes into the bead with your own hair. 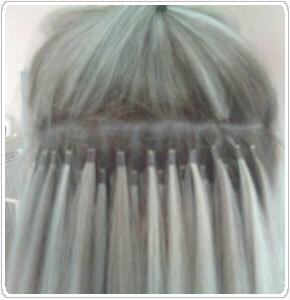 Once the bead, the extra strands and your own hair are in place, the bead is clamped flat to secure the hair extension. This method can be very time consuming and is best suited for people with quite fine hair. 2) Tapes are about an inch long strip of hair that has a sticky taped side to attach to your natural hair. Tapes are attached to your hair on top and underneath (like a sandwich). The glue is very strong and it does not need to be heated up. The tapes lie flat into the scalp and are almost undetectable to look at. Tapes give a thick and full look as there are two tapes to one inch of your hair. 3)Weaves are a long strip of hair that fits from one side of the head to the other. A section of the hair is braided where the strip will be placed. Once the braid is complete, the strip of hair is sewn onto the braid. Another way of applying the strip is with beads along straight section of hair if you prefer not to get a tight braid. There are many other techniques out there and all stylists are trained differently. Look into each different technique to see which one will best suit you. Once the hair is in place it must be cut and blended into your own hair to give it a natural finish. This process may involve cutting the length of the extension or thinning out your natural hair for your new hair look to look amazing, depending always on how thick or thin your own natural hair is. Decided your going to bite the bullet for the first time? Do lots and lots of research! Before you dive in and make an appointment where Mary got hers done, make sure you select the right salon for you. Different salons have different priorities. Make sure to select a salon that has a very experienced stylist, that use the best quality hair for the extensions, and that can offer the best products to care for and support your new amazing hair. After you have selected the salon, make sure you make an appointment for a consultation before deciding a date for the big change. In your consultation you decide on cost, hair length, hair colour, bonds, products and you get advice from your stylist about the procedure and maintenance. Some salons get you to sign an agreement to say you will look after your hair to the best standards so it is vital to read all the small print! Once you have made the final decision that you are getting extensions, make sure you are committed to the upkeep. Talk to someone who has hair extensions and don’t let them sugarcoat the downsides. The best type of hair is 100% Human and Remy. Remy means that is has a cuticle still on the hair strands which will give the most natural looking finish. You need to look after your hair. It is costly. It is time-consuming. I will be doing many more posts regards hair tips for hair extensions as there is too much to cover in one post. I hope this post helps and I’m forever welcoming questions and suggestions. 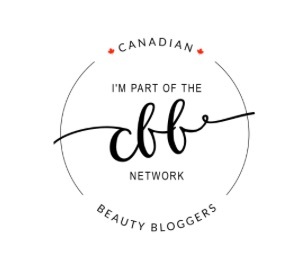 remember, I’m a fully qualified hair stylist and I enjoy spreading my knowledge, I enjoy researching topics and gathering as much information as possible to share with you. Hope Today is A Good Hair Day!